My new silly drone hobby motivated me to visit an old friend. 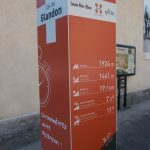 Col du Glandon is perhaps less known but fits in the same category of tough, famous French climbs either side of 20 kms with roughly 1500 metres of ascent: (Madeleine 19.3kms/1550m, Tourmalet 19kms/1405m, Ventoux 21kms/1610m, Glandon 19.9kms/1460m). In other words: It’s a tough climb. 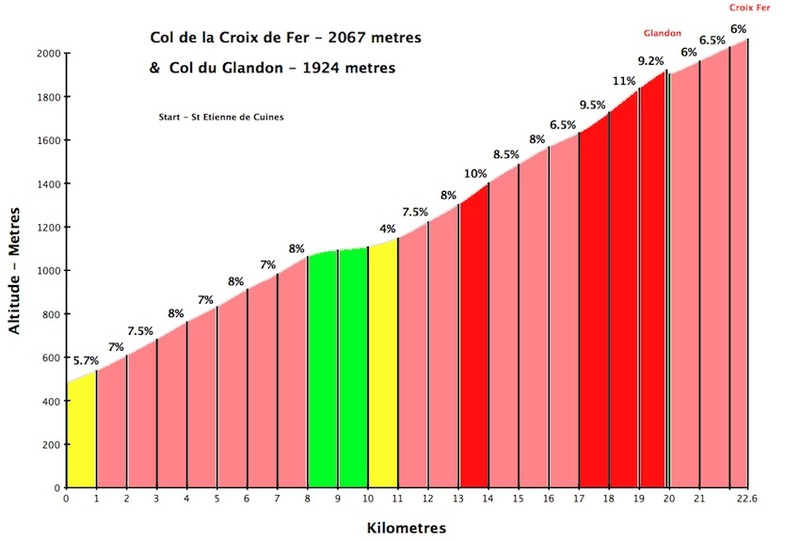 In fact, if you include the 2.5km extension to Col de la Croix de Fer, it’s 22.5km/1610m). 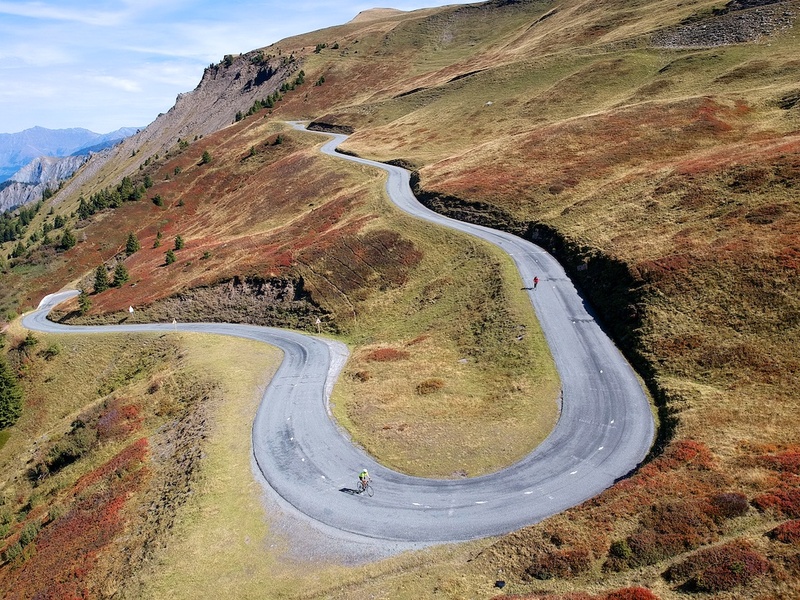 My route plan was simple: Climb Glandon, visit Croix de Fer, descend briefly the far side, return. And try and take a few drone photos. 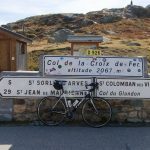 Here’s a post with 6 different paved ways to climb Col de la Croix de Fer (including via Glandon). 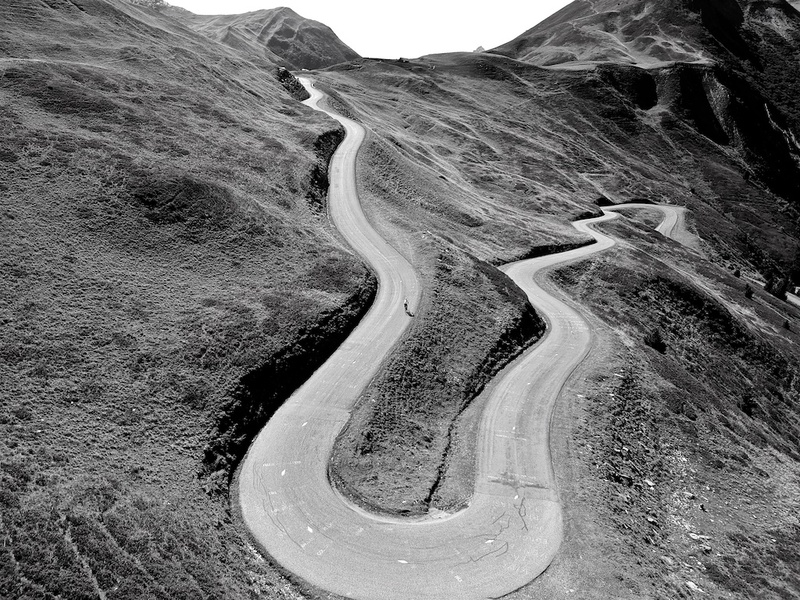 The first half of Glandon reminds me of the north side of Col de la Madeleine. 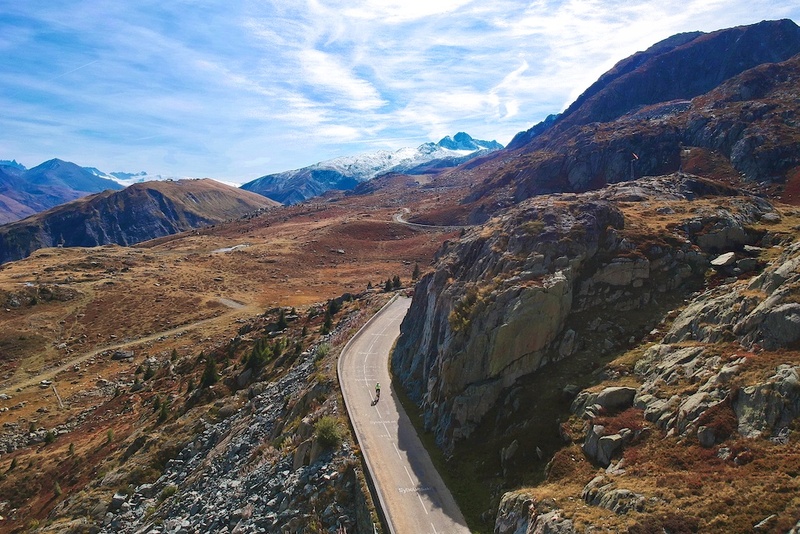 Well engineered road, weaving up a relatively narrow, lightly wooded alpine valley. 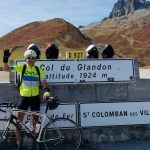 But, the highlight of Glandon is the last 2.5 kilometres or so. Jaw-dropping hairpins in sort of an amphitheatre environment. In fact, I’ve seen the Tour de France here 3 times (returning twice with friends) as the views down are so great …. near the top is the perfect fan spot. 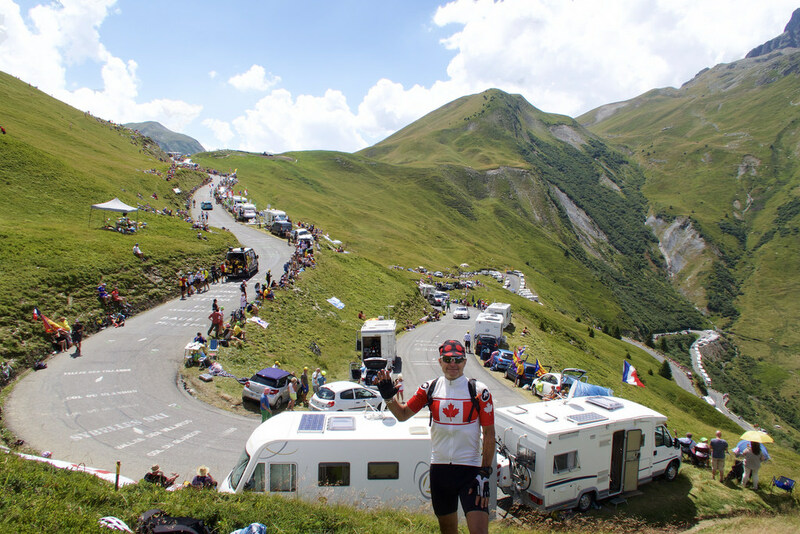 Old photo at the same place (last hairpin), watching the 2015 Tour de France. 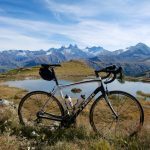 Col de la Croix de Fer and Glandon are two of many great climbs in the Maurienne valley (Galibier, Iseran, Mont Cenis, Madeleine, Mollard, Plan du Lac, etc). 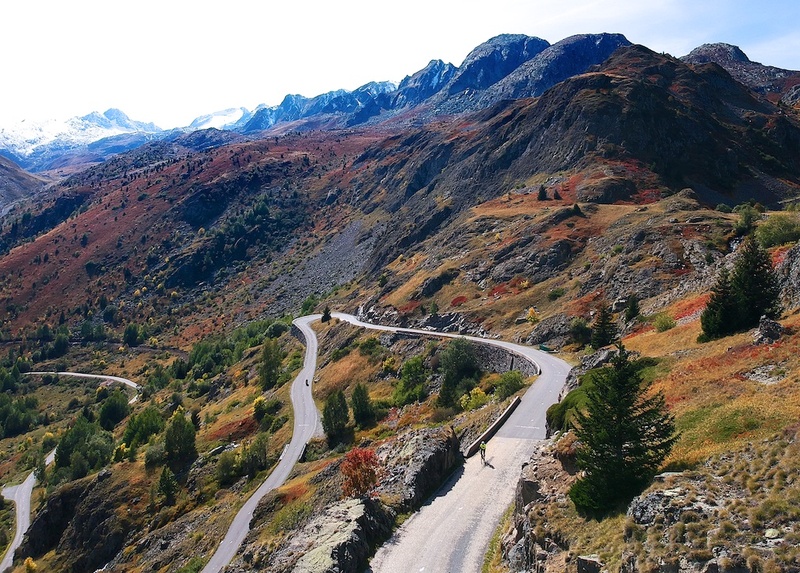 See here for a detailed overview of Maurienne valley climbs. 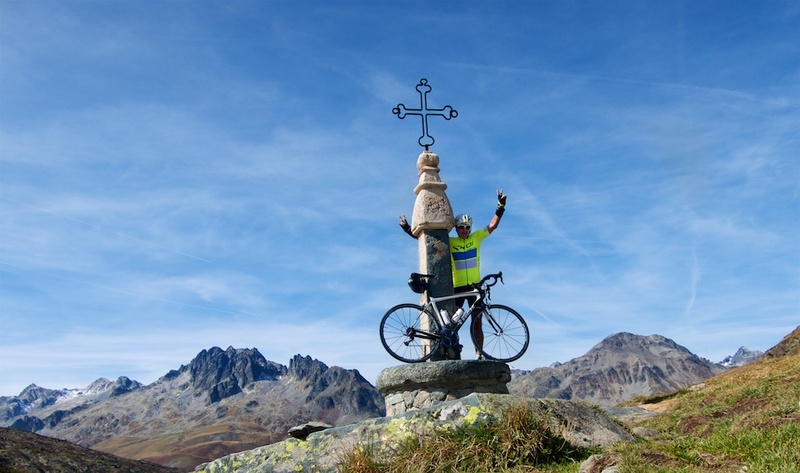 At the summit of Croix de Fer, I was happy to see the repaired Iron Cross. It had been vandalised last December. 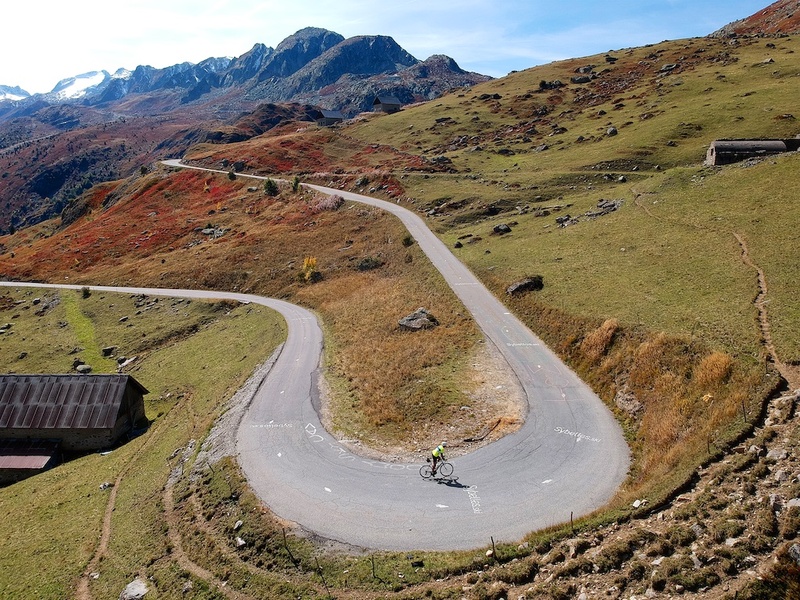 I think the most scenic part of Croix de Fer is the last 6 kilometres on the far side. So I descended a couple of kilometres just to have a look. It’s usually the first 2000+ metre climb I visit every year as it often opens early May and has nice snow walls. I considered making a loop via Mollard or heading straight down Croix de Fer. 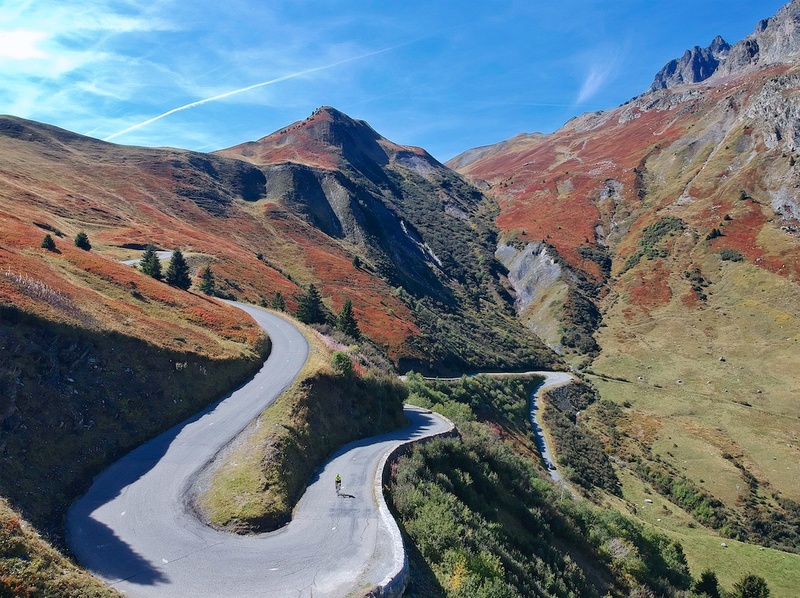 But I love the Glandon hairpins, so I doubled back and descended the way I had come. Great day: Tough climb, quiet, beautiful. Excellent pictures they deffo capture those bends..
What drone did you get? If I remember correctly, there is a descent in the middle of the climb which makes the official percentage gradient somewhat higher than reported? John, A DJI Spark. Very light, easy enough to use. There is a flat part … see profile. 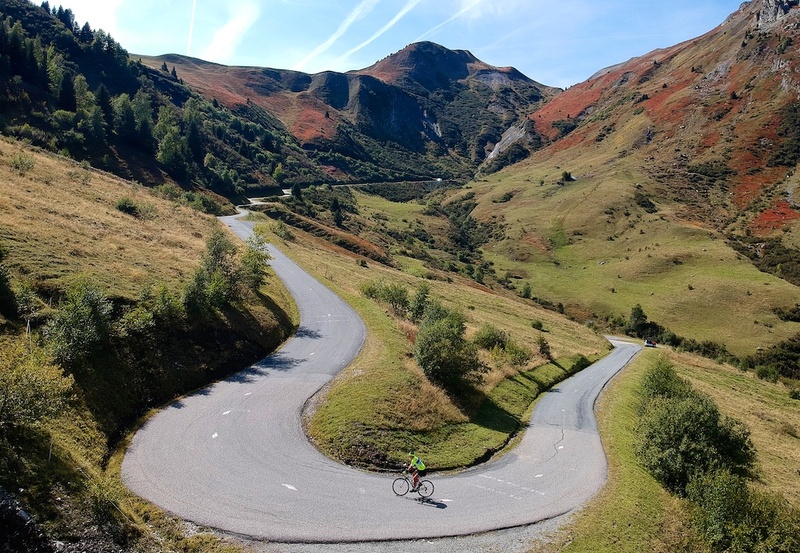 But it is the west side of Croix de Fer … far longer … that has two descents mid-climb. Wow, visited in the summer of 2015 but looks totally different in September! Thanks for sharing! Your photography has taken on a new dimension, Will. Literally. How does it work? Don’t you need a pilot? It is a DJI Spark. Very light. Can be controlled with my phone. 1) When not being moved it hover. 4) There is a setting to snap photos at varying intervals. I set it to snap every 5 seconds. Amazing pictures of the foliage changing colors in the autumn.